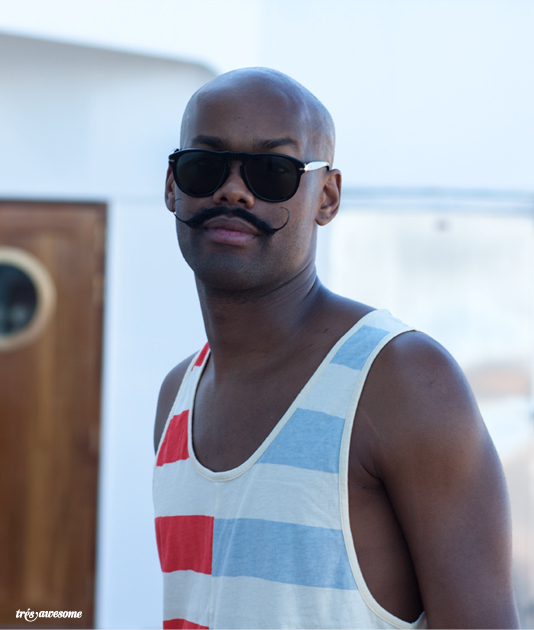 Très Awesome: Music Festival Street Style - Holy Ship! DJ Gina Turner was one of the surprise high points of the line up. 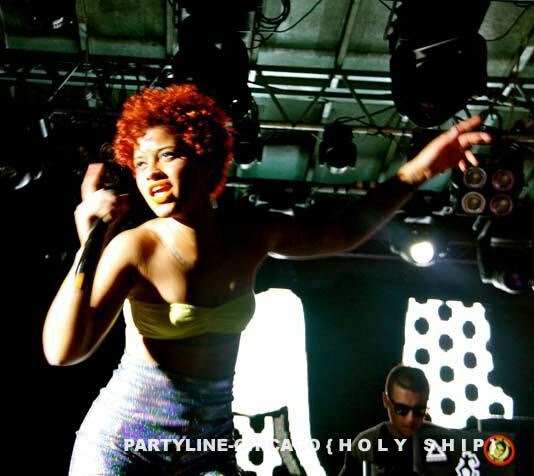 Her set was a mix of live singing and spun records, plus she looked AMAZING doing it. This neon Cambridge Bag is always a winner in my book. On a mildly scary note (Particularly in light of the Italian cruise tragedy, in which 6 people died and many remain missing) our boat ran onto a coral reef and was stuck for about 12 hours off the coast of the Bahamas. However unlike the Italian shipwreck, nothing terrible happened, in fact the party just continued on. The only evidence that anything was awry were some vibrations that briefly awoke my boyfriend and I from our slumber around 5 am (which turned out to be tugboats trying to pry the ship free) and the empty pool that they drained in attempts to lighten the load. Turns out God is an electronic music fan. now that is how you rock a high waisted bikini. not easy to do, but she looks great! looks like so much fun! The photos are amazing! I wish I was at the Music Festival. Looks so much fun! I want the same bikini outfit of that girl with the animal print top. It looks good on her because of her complexion.